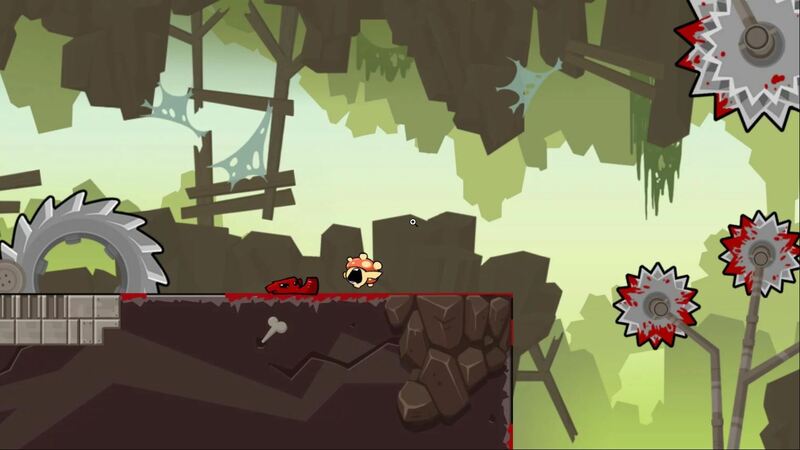 What fans of Super Meat Boy can expect in the upcoming sequel, Super Meat Boy Forever. 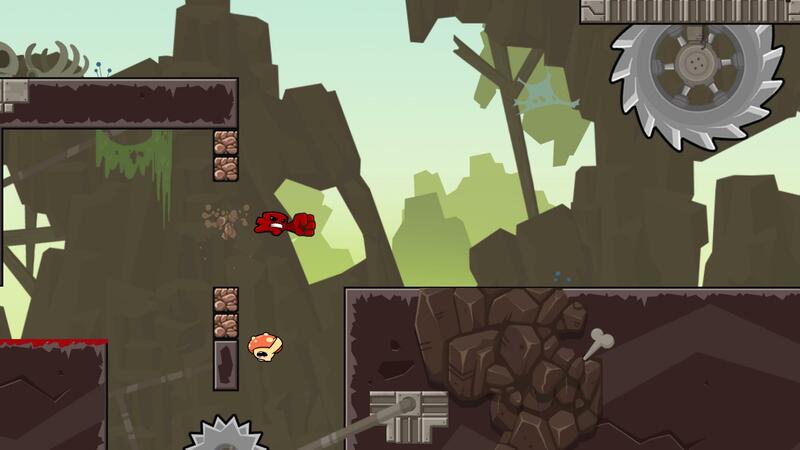 Super Meat Boy Forever is the long-awaited sequel to the original Super Meat Boy which released back in 2010. While co-creator and character designer of Super Meat Boy, Edmund McMillen, won’t be returning to work on Super Meat Boy Forever, the game has been left in the capable hands of McMillen’s former partner, Tommy Refenes. Right off the bat, you’ll notice a lot of similarities between Super Meat Boy and Super Meat Boy Forever. The key difference that sets them apart resides in the game’s controls. In Super Meat Boy Forever, everything has been stripped down to a 2-button setup. Additionally, the titular Meat Boy runs through the stage automatically. This may lead you to believe the sequel is easier than its mind-numbingly difficult predecessor, but this couldn’t be farther from the truth. Those who’ve had the ability to test the game at events like PAX West and PSX tout Super Meat Boy Forever as being just as challenging as the original. What’s more, the game offers enough newness within its familiar setup to keep things fresh and interesting. In a nice callback to the original, every time you run through a stage in Super Meat Boy Forever, you coat the surfaces you slide on in red (or pink if you prefer to play as Bandage Girl). Another familiar sight centers around Dark Worlds and Warp Zones, which offer an even greater challenge for die-hard Super Meat Boy enthusiasts. Despite the simple sound of a 2-button setup, each button requires a high degree of strategy. In the midst of a stressful run, it can be easy to forget how to properly utilize each button. For example, the longer you hold the jump button the farther Meat Boy will leap. Hit the button in mid-air, and you’ll be able to smash enemies out of the way with your fist. Meanwhile, there’s also a slide button to help you navigate underneath dangerous terrain. Death is a bit more painful in Super Meat Boy Forever, as the levels get progressively harder each time you replay them (though there is a difficulty cap for players who find themselves stuck on a particular level). 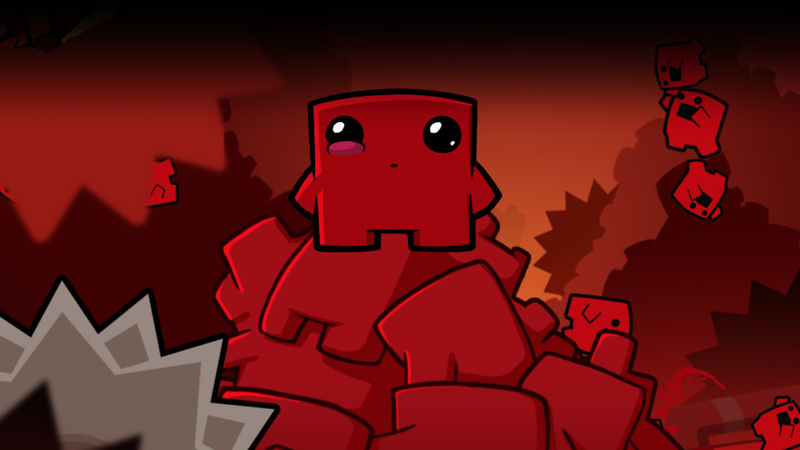 It may sound like a double negative, but Super Meat Boy Forever is genuinely a delight to play despite how painful it can be. If you’re looking forward to Super Meat Boy Forever as much as we are, stay tuned for more information regarding the game’s release date. As of right now, the game is projected to release sometime in 2018 for all platforms including Xbox One, PlayStation 4, Nintendo Switch, PC, Linux, Android, and iOS. For more on Super Meat Boy Forever, be sure to check out our exclusive developer interview at PSX 2017!